The government has announced the successful corporatisation of the Fiji Electricity Authority which will now be known as Energy Fiji Limited. While making the announcement at the FEA Head Office, Attorney General Aiyaz Sayed‑Khaiyum said the corporatisation basically means that this new company, Energy Fiji Limited, now has a capital structure and shares which are wholly owned by the Government. He says it gives them the opportunity to harness private sector expertise, innovation, and efficiency in new ways and accelerate the expansion of clean and renewable energy throughout the country. Sayed‑Khaiyum says corporatisation doesn’t mean that any contracts or staff of the FEA will be affected. He stresses that there will be no job losses as a result of this transition and no one will be made worse‑off. 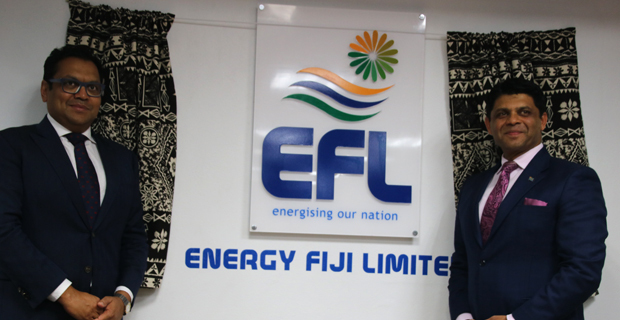 Sayed‑Khaiyum says through this corporatisation, the Government is now offering five percent of the total shares in Energy Fiji Limited to EFL customers in the form of non‑voting shares, completely for free. He says this means that eligible Fijians who are EFL customers will be granted a stake in their energy provider for the very first time, giving them the chance to become a shareholder in a billion‑dollar asset company. Sayed‑Khaiyum says people can expect to receive an offer letter mailed from Energy Fiji Limited with an application form next week. The offer period will be open this Friday 20 April 2018 and it will close at 4 pm on Tuesday, 29 May 2018.